Once upon a time, the doll house was created as a celebrated replica of homes of their owners – built by artists, and admired by everyone as an item of beauty. Mixing those traditional values of workmanship and artistic precision with its modern Scandinavian designs, Boomini brings prestige back to the doll house with the show-stopping Boomini Wood. 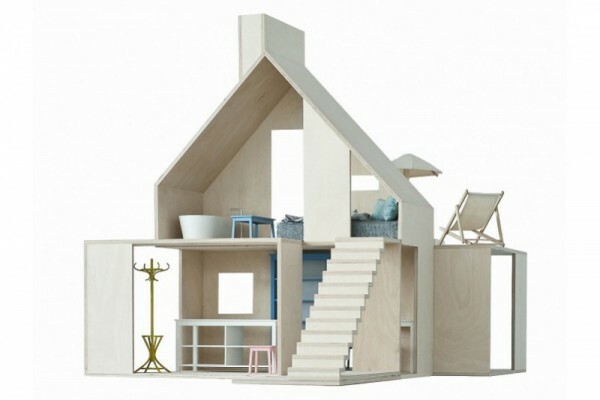 With the utmost appreciation for contemporary design, the Boomini Wood Dollhouse truly represents modern living. Clean lines and natural hues allow it to hold its own as minimalist decor, while the layout gives children the freedom to access the interior from any side. 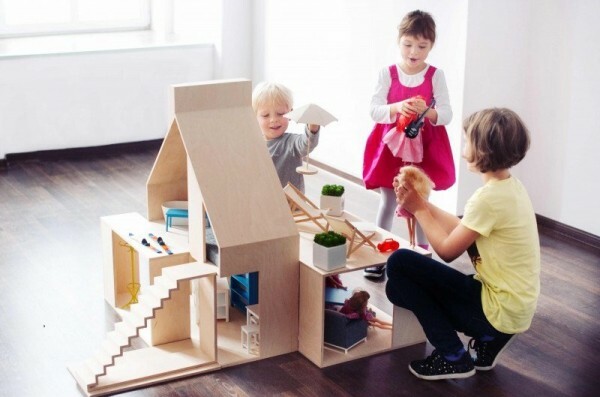 The Boomini Wood Dollhouse comprises four separate parts: main house, outdoor terrace, staircase and living room, allowing kids to exercise their architectural creativity as they piece the house together as a loft, villa or some other work of the imagination. Exquisite furniture and decor fit the home perfectly; anti-allergy cushion inserts, professionally upholstered mattress beds and stunning deck chairs are just a few of the stand-out features of this designer gem. The Boomini Wood Dollhouse is a a home of sheer beauty, encouraging young minds to get lost in imaginative play – in absolute style. It’s scaled just right for Barbie and other similarly sized dolls. Made from plywood, the Boomini Wood measures 122 x 78 x 91 cm and can be purchased locally for $429 at Norsu Interiors.